What gives you your power and motivation? 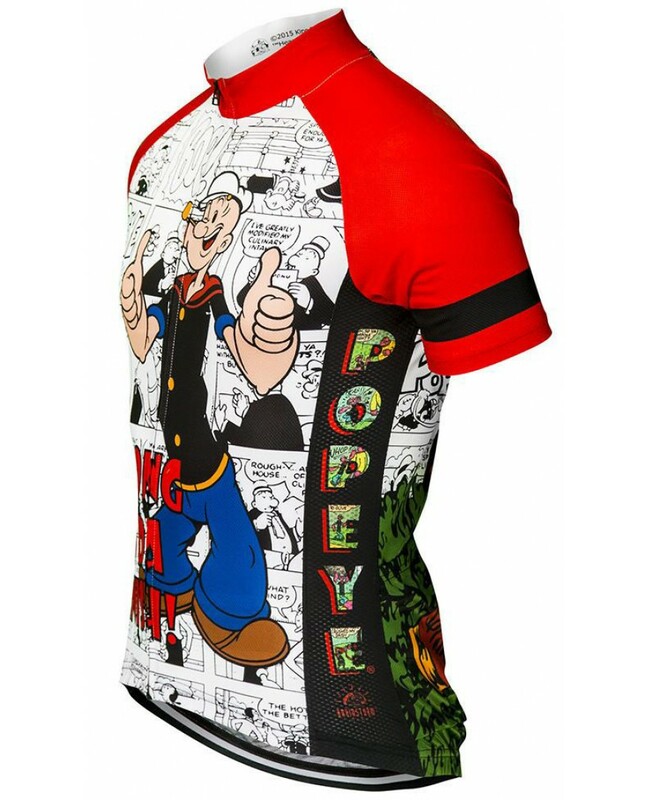 For Popeye it was spinach. For lots of us, it's cycling! 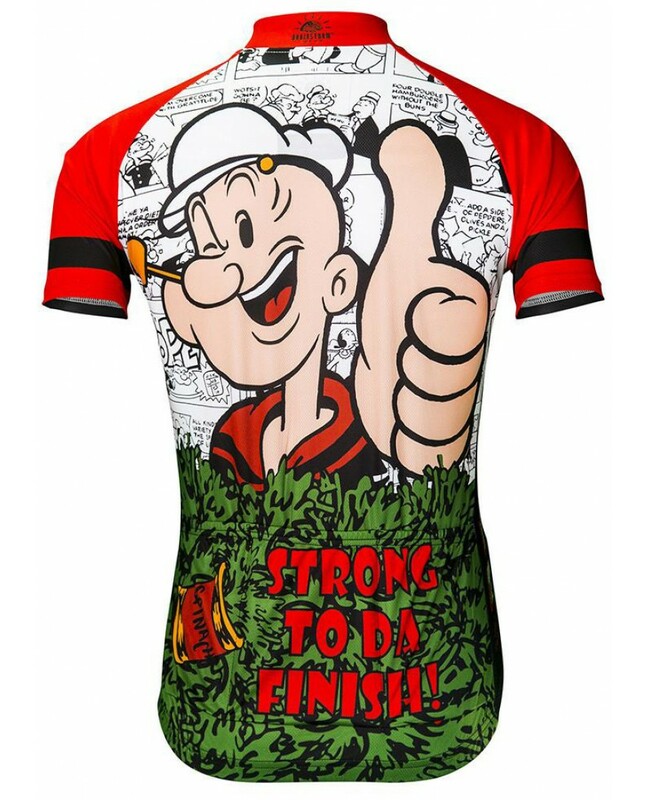 Brainstorm Gear jerseys keep you cool, dry and comfortable so you can stay "Strong to Da Finish" each and every day. 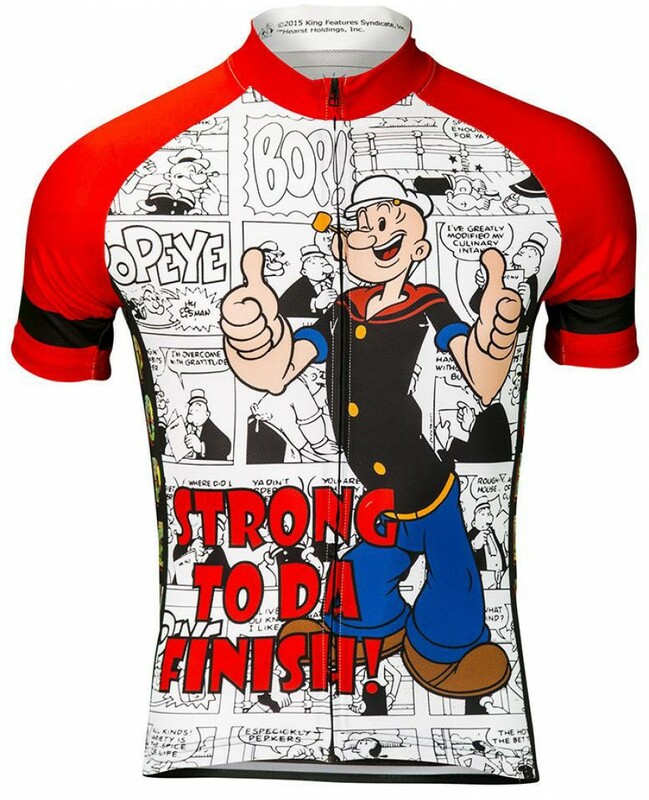 Featuring a background of the original Popeye comics! Full length Front zipper and three rear pockets for storage.